This PDF 1.4 document has been generated by Adobe InDesign CC (Macintosh) / Adobe PDF Library 11.0, and has been sent on pdf-archive.com on 03/06/2014 at 19:22, from IP address 76.1.x.x. The current document download page has been viewed 555 times. concept kitchen to family area, and upgrades throughout. with 42” upgraded cabinets, and granite counters in kitchen. Plans, specifications, included features, available options and elevations are subject to change without notice. All dimensions and square footages are approximate. gameroom pre-wired for speakers. Full yard sprinkler. No rear neighbors. Energy Star 3.0 certified. Ryland Homes. Reuse of plans is strictly prohibited. © 2013 Ryland Homes. Equal Housing Opportunity. Danny Day at (281) 913-7752.
are subject to change without notice. All dimensions and square footages are approximate. and garden tub. Oversized patio on rear. Full yard sprinkler. SS appliances &amp; 2” blinds. Energy Star 3.0 certified. 11/21/12 Ryland Homes are owned by third parties and use is licensed to Ryland Homes. Reuse of plans is strictly prohibited. 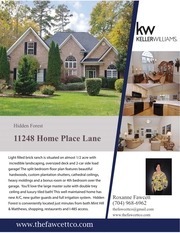 © 2012 Ryland Homes. Equal Housing Opportunity. RH1340 features. © 2014 The Ryland Group, Inc. This file has been shared by a user of PDF Archive. Document ID: 00166728.